Our food alone is filled with pesticides, herbicides, additives, hormones, preservatives, artificial coloring, artificial flavoring and the list goes on. That’s not to mention pollution in the air, plastics (BPA), body care products and household cleaners. While there are some things you can do to minimize your exposure to toxins (like going organic and using all natural cleaners), you will never be able to fully escape them. 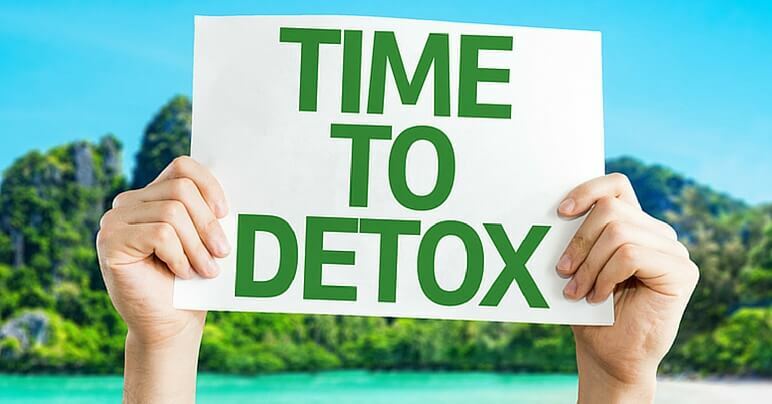 In time, those toxins will build up in your system and begin to affect your body in a negative way. They alter gut microbiota, cause weight gain, induce or accelerate tumor growth, destroy the immune system, lead to diseases, trigger allergic reactions, impair glucose tolerance and cause respiratory problems. The body has a natural detoxification process, which eliminates and neutralizes toxins through the colon and the liver. But when the body is overloaded by toxins, it gets stressed and has a hard time flushing them. This can eventually lead to toxicity. Toxicity is caused by poor diet, high stress, and an overall unhealthy lifestyle. If you’re experiencing the following symptoms, your body might be letting you know it’s time to detox. When people hear the words “detox” or “cleanse,” many immediately think of living off juices for about a week. While there are benefits to a juice cleanse, some can be harsh on the body. 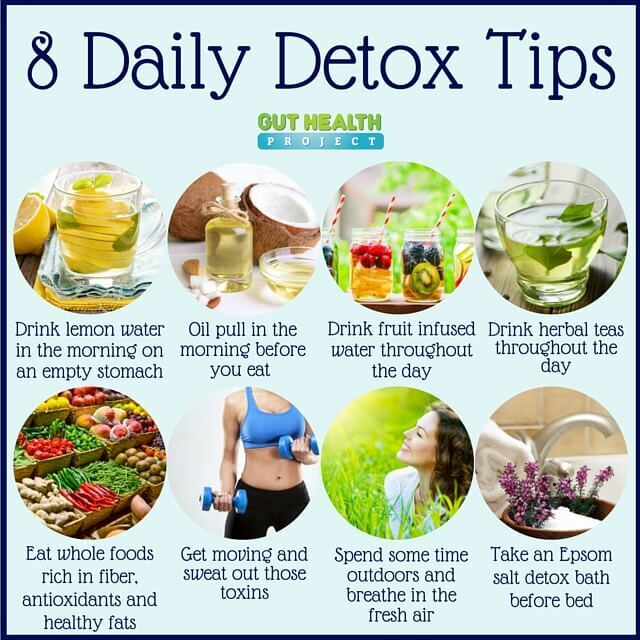 Click here to learn more about healthy detoxing and cleansing! Along with the eight daily detox tips I mentioned above, you should also add a daily probiotic supplement to your morning routine. Probiotics are good bacteria that will help alleviate digestive issues and cleanse your digestive tract. By cleansing the waste (poop) our of your intestines, you are helping your body rid itself of harmful toxins. Perfect Origins is a high-quality probiotic that will bump up your detox efforts. Click here to learn more about Perfect Flush. See Why You Should Bump Up Your Detox Efforts With Probiotics NOW!